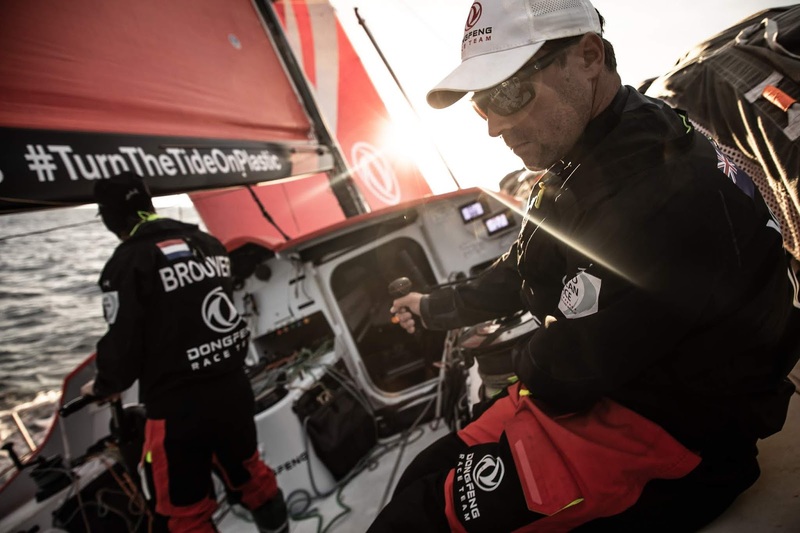 The Volvo Ocean Race teams were pointing in completely the opposite direction to the Leg 10 finish line on Tuesday as they attempted to cross a windless ridge of high-pressure that could hold the key to overall victory. In a bizarre twist, the seven teams found themselves heading due west on Tuesday afternoon (UTC), away from the finish port of Gothenburg, Sweden, as they battled to get across the ridge 100 miles off the Irish coast. However the current standings aren’t all they seem - in reality Scallywag likely trails the fleet by around 16 miles but is technically closer to the finish line some 970 miles to the east. “It's been very tricky since the start as I'm sure you've seen," said MAPFRE skipper Xabi Fernández. "We are a little bit nervous about crossing the ridge as the first one through will look very good, so we are trying to gain to the west as much as can... Happy to be here in the north and looking good, but still quite nervous to be honest."